Not only have they finally added a cream eyeliner to their lexicon which I am a huge fan of, but they also have a couple new pencils and even a pen-style liquid eyeliner that is super user-friendly. Let's check them out below! I personally love cream liners because they are incredibly long-wearing (much more so than any pencil) and can give the look of either a liquid or pencil liner depending on how it's smudged. 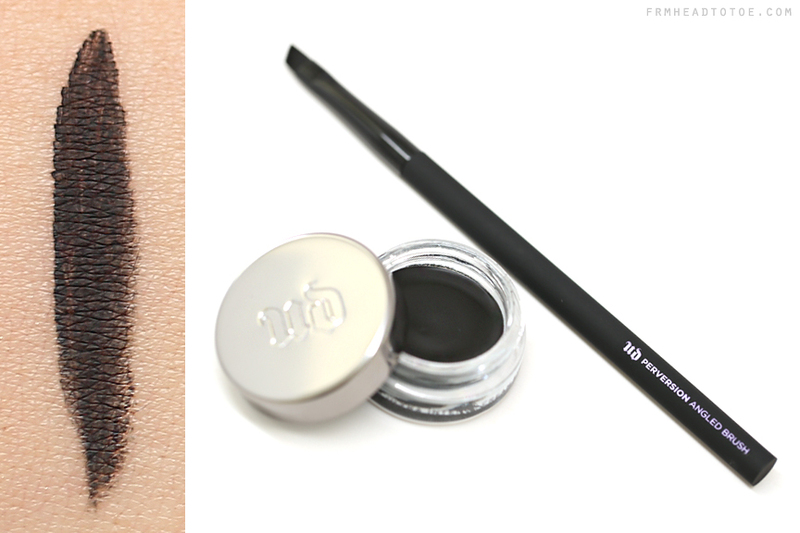 This cream-gel eyeliner is super black and matte. You do need a separate brush to apply it which can be an extra cleaning step, but the product itself is wonderful especially for those with oily lids or monolids. SUPER-SATURATED Cream Eyeliner is available for $22 and is shown here with the new Perversion Angled Brush selling for $16. You guys know the 24/7 pencils from Urban Decay are some of my favorite eyeliner pencils out there but this new iteration is warmer black and has more of a powdery finish to really smoke out the eyes. It still has the same lasting power as a regular 24/7 but really shines when used as a smoky base. 24/7 VELVET pencil is available for $20, the same price as other 24/7 pencils. 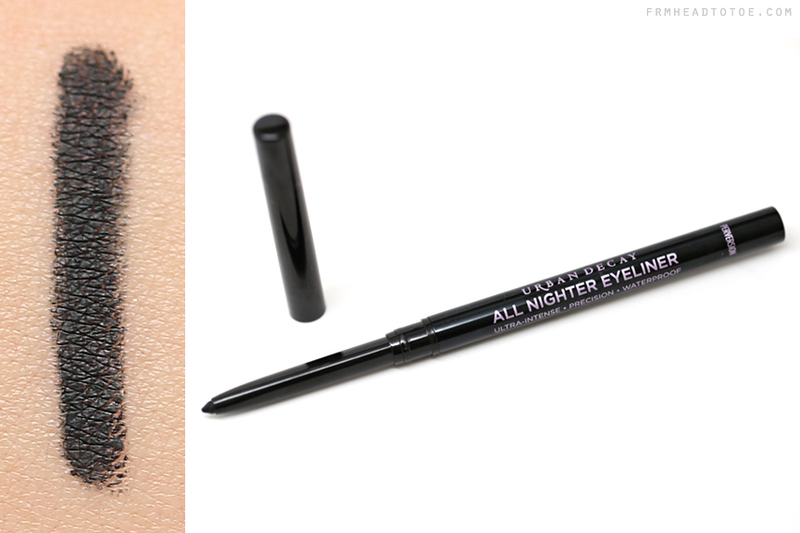 The All-Nighter is in a twist-up pencil form and the product itself is very thin. In terms of consistency, it actually feels more like a cream product and Perversion is very opaque like other products with the same shade name. After drying down it sets to a long-lasting finish. The nice thing about this compared to 24/7 is you won't need a sharpener but I do also find this type to run out quicker than other pencils since there's less overall product. I'd recommend this one for convenience if you can't be bothered with brushes. All Nighter is available for $20, the same price as Urban Decay's 24/7 pencils. I'm so glad Urban Decay came out with an eye pen because it's my absolute favorite way to apply liquid eyeliner. Liquids are tricky no matter what but if you can write with a Sharpee, you can use a pen liner. Ink For Eyes is especially nice because it dries quickly and has a the thinnest tip of all the pen liners I own, perfect for extra sharp lines. This might be the best option for those with tiny creases and minimal lash line space. 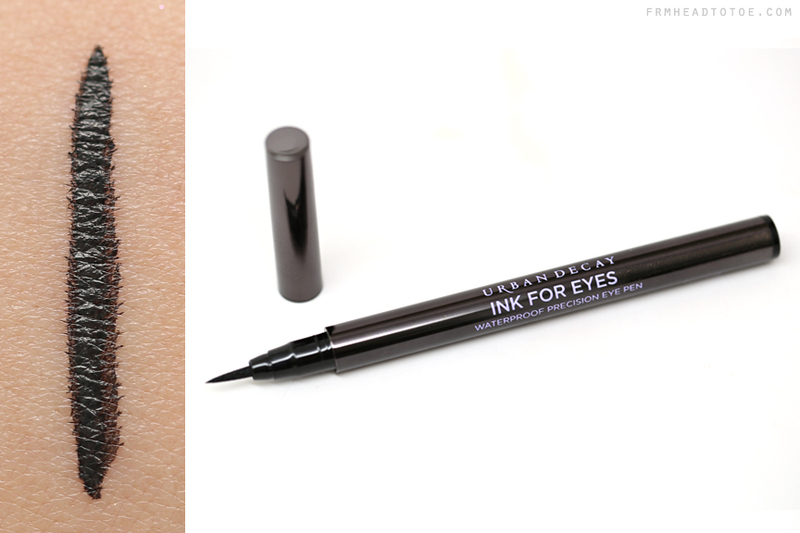 Ink For Eyes is available for $20, the same price as Urban Decay's 24/7 pencils. 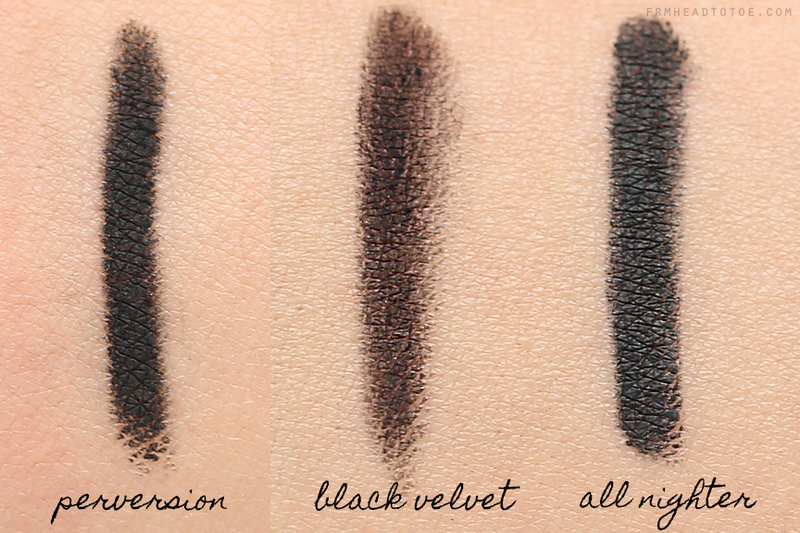 Here's a comparison swatch of all 4 eyeliner types so you can see the differences in texture, color, and precision. I also wanted to juxtapose the pencils shown here with the previously released 24/7 Pencil in Perversion which had a ton of hype as being the blackest black pencil available. Seeing that All Nighter is also in the shade Perversion, you can see that they are equally hyper-black and opaque. All Nighter might be ever so slightly cooler but you wouldn't see any difference on the eyes. 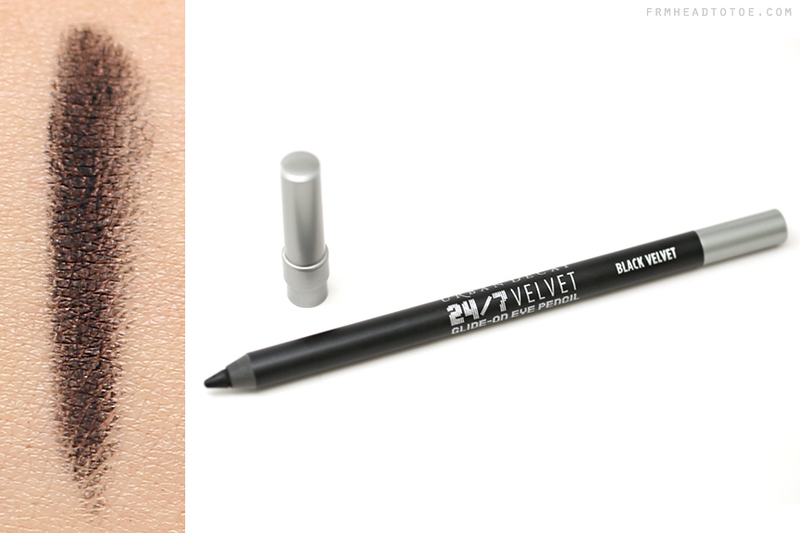 Black Velvet on the other hand is significantly warmer and less opaque with a more powdery formula compared to the creaminess of the other two. Eyeliner is such an objective thing so I can't say a single one is the "best" but the ones I find myself grabbing the most often are Ink For Eyes simply for the convenience and Super Saturated Cream Eyeliner for that exaggerated, matte opaque cat eye that I've been obsessed with lately. 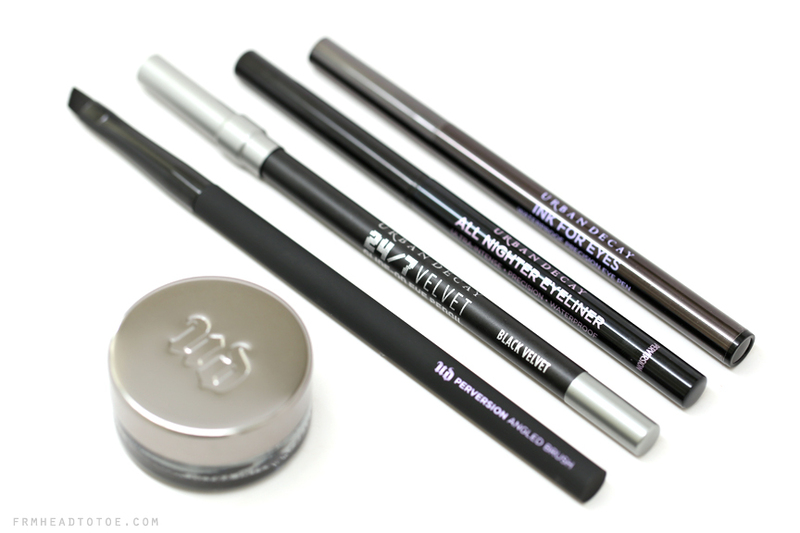 Overall they are all high-quality, awesome products that any eyeliner junkie would be happy with! 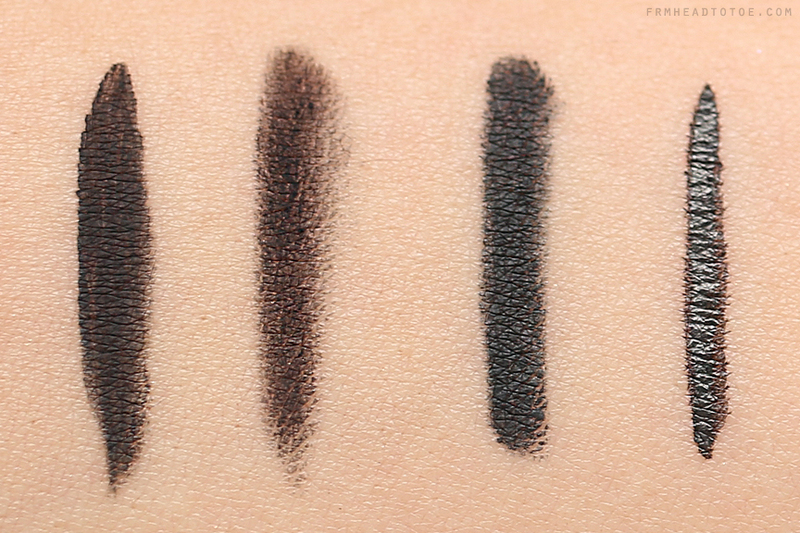 Readers, which black eyeliner is your favorite type, texture, and color? What do you look for in a perfect eyeliner? Let me know in the comments! The liquid liner seems to be the best out of all from your swatches! Such a useful comparative post! Thank you! i have all of these new ones and i love them, but i find that the all nighter version is not good for my waterline.. i can use it along my lash line but on the waterline, it makes me eyes water and icks up my contacts! Gel eyeliner is definitely longer lasting than even the 24/7 pencils but they are awesome as far as pencils go! I feel like the UD one is more opaque in one swipe and also comes in a much larger container. This can be a good or bad thing since they do dry out over time and I rarely get through a whole pot before it dries up, but I think it's definitely one you won't be disappointed by! Love the all nighter eyeliner, so opaque! Thank you for the review! Could you please tell us whether the ink for eyes is a felt tip or more brush like? I love my stila stay all day felt tip liner, but I can see the tip fraying over time (I've already had to trim it a little). I hope the UD one is made of more durable stuff! The cream liner looks wonderful! I stopped using black eyeliner because I like the look of brown liner a bit better and my favorites to use are the Tony Moly Backstage Gel Liner in Brown and the Etude House Choco Liner (which is limited edition - I can't find it anywhere D: ) in Dark Chocolate with the Sugar Pill Liner Brush. I've also been enjoying the Dolly Wink Liner in Brown! 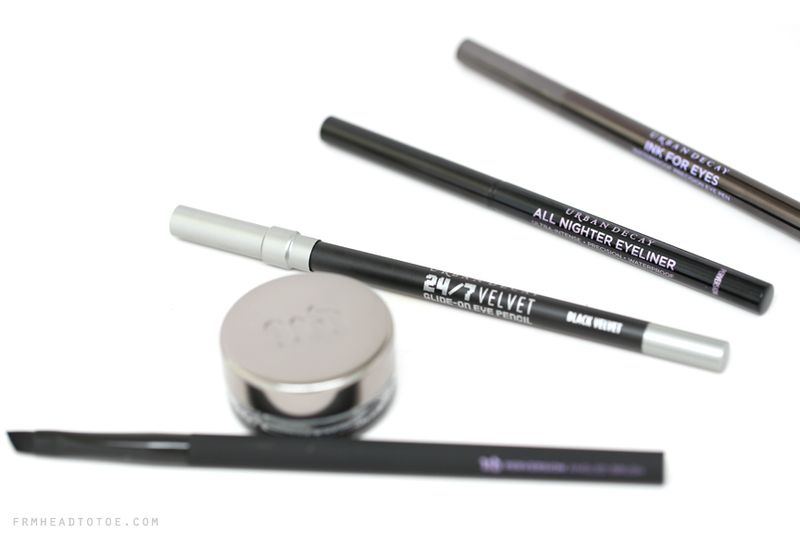 I mainly look for pigmentation and lasting power in eyeliners! I haven't tried the Urban Decay eyeliners I should really try them! I thought Black Velvet would have been more pigmented, so for now I think I will stick to Perversion. I do however really want to try the cream eyeliner and brush. Great Post! Hi Jen! Thank you so much for this in-depth review. I want to ask: how do you think the cream liner compares to the Bobbi Brown Gel Liner in Black Ink? Great review! <3 I have an Urban Decay pencil liner and it applies so smoothly!